Toys Toys Toys !!! They are everywhere and now is the month that we all start to go crazy over what toys to buy the kiddies for Christmas. 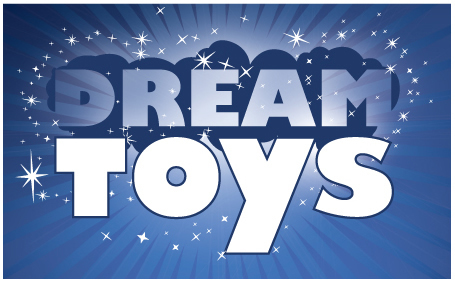 Dreamtoys is an event in London to show off the most popular toys of the year and the coming year. This is run by the Toy Retailers Association which I was very lucky to attend. So to make your life easier buying toys for Christmas, I am going to let you know what they are. Before I start, I do want to tell you, that these are not MY top 12 toys. I like toys that will entertain a child and educate them in a fun way. So with each one, I will tell you whether I would buy it or not. All views are completely my own. This is an egg that you can hold on your hand and rub it until the egg hatches.....it needs to be rubbed for about 20 minutes continuously and then you'll get a interactive cute animal to keep and look after forever. There are four to collect and in some shops they are limiting people into buying just one. Personally, I wouldn't buy it, but many people will. The animal on the inside is very cute and it moves around etc, but it's not for me. I can't actually understand why anyone would buy this. I know my kids wouldn't sit there for 20 solid minutes just rubbing the egg. I just don't get it. 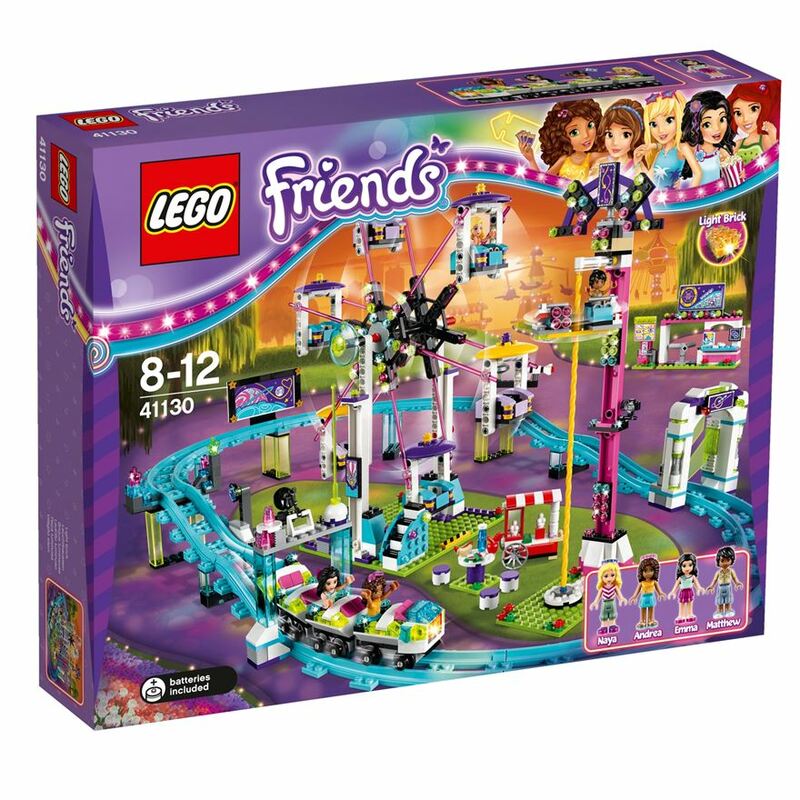 I love the girlie Lego sets. 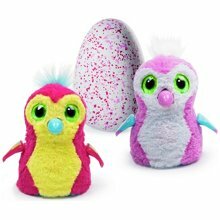 I think they are great for girls and they really are super cute. I love any kind of Lego really, as its perfect for creating anything you like and there really is Lego for everyone. However the Lego Friends has really taken off, and if I had a higher budget and a larger house, I would get the lot for my daughter as she loves building and being creative. I did actually have a play with this all set up, and I could have sat there for ages moving the characters around the park. I would definitely buy this. 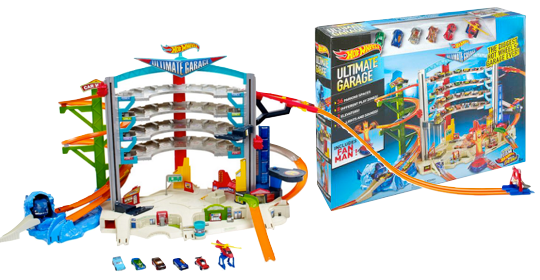 If your child is a huge Hot Wheels fan, and you have plenty of room, as its really big.....this is a great added extra to have as it can hold up to 36 cars and the garage actually comes with 5 Hot Wheels cars. I would buy this if I could, as I know my son would love playing with this for a really long time and enjoy moving the cars around and parking them up, as well as crashing them !! If you love Nerf, then this is a great addition. 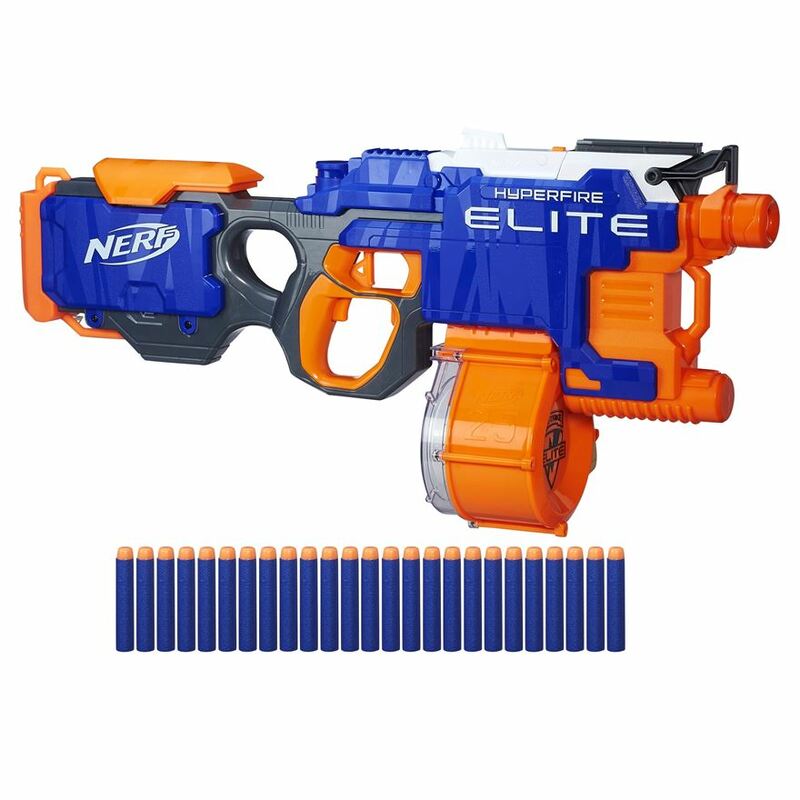 This is the fastest Nerf they have produced and its basically a Nerf machine gun. It can hold 25 darts at the same time. Its awesome. This is also an adults toy!!! This is a toy that when all the kids are in bed, you know the adults are having a run around the house having a great time. I would buy this....for my husband!! 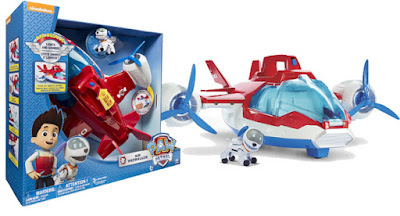 If you're a Paw Patrol fan, then is a perfect toy. Or....actually, I think, even if the programme has never been seen, this is still an awesome toy. It lights up and makes noises as well as having spinning propellers. 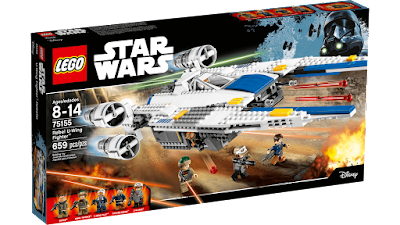 Its easy to carry around whilst playing with it and you can get all the characters in the cockpit. I would buy this toy, purely as it keeps the kids running around whilst playing too. When I first saw this, I didn't understand what the fuss was about, however.....its a brilliant concept and this is going to be really popular, so get one whilst you can!! You have to download an app onto your phone which needs to be attached to the Selfie Mic and then you can choose any song you like and you can sing along to it whilst being recorded and making your own music videos. This is many a girls dream and this is the 21st century version of the hairbrush in the mirror. I would buy this (Well, actually, I already have it...sssshhhh, don't tell my daughter). I am not a fan of Shopkins, but my daughter loves them. So much so, that we turned my antique dolls house into a Shopkins house....so she had somewhere to put them all. Now Shopkins have their own kitchen set. They do also have their own house you can buy, but the Kitchen is in the Top 12. 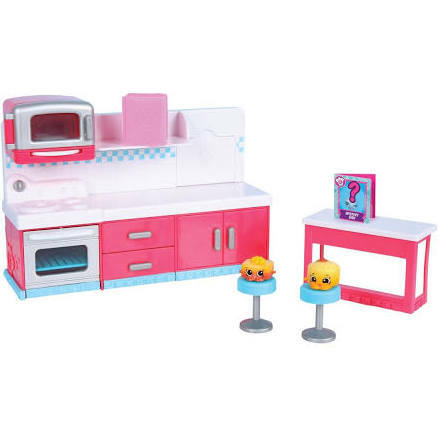 Its a place to 'play' with your Shopkins and display them. I wouldn't buy this personally, but if my daughter wants to spend her money on it, then so be it. If you haven't seen or heard about this game, then you must be hiding under a rock. This is probably going to be one of the best sellers of the year. Purely because, this is a game everyone can play. This can be played on your own, or with a huge group of friends or family having a good ole laugh together. This is a fast reactions game. 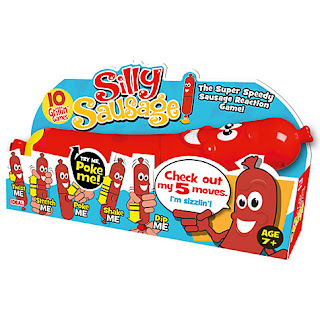 Turn the sausage on, hold him firmly and wait for his commands and then you just have to be super quick!! He has five commands, and he can say them in any order he likes as fast as he likes. His commands include - Twist Me, Shake Me, Dip Me, Stretch Me & Poke Me. This is an innocent fun kids game, but for the adults...its something else!!!!! This is Hilarious and a Must Buy even if it is only played with on Christmas day!! 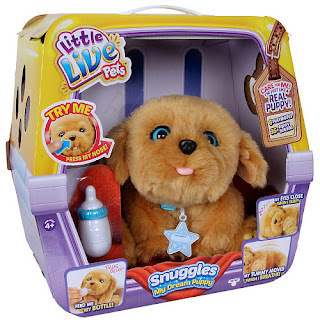 Here we have yet another interactive 'real life puppy', who feeds from a bottle ????? and makes all the necessary cute puppy noises. I wouldn't buy this.....give it a week and the puppy will be forgotten and left on a shelf. I'd buy a soft toy instead, even if my child already has 100 soft toy puppies. This game has been all over YouTube lately. It looks absolutely hilarious. You basically have to put a dentist mouthpiece in your mouth and try and speak. Now, if you've ever had your teeth whitened then you will have already have one of these in your mouth, and its impossible to talk. 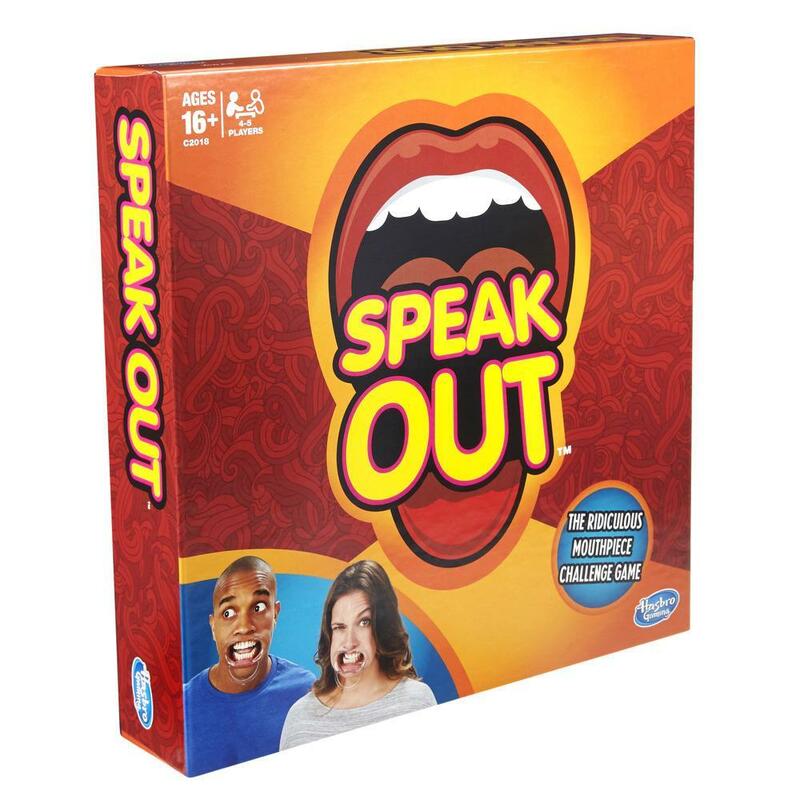 So to make it into a game where you have to guess what people are saying is bound to bring in all the laughs. Alternatively, you could just buy the dentists mouthpiece and do it yourself. I wouldn't buy this personally, but I know A lot of people who would. 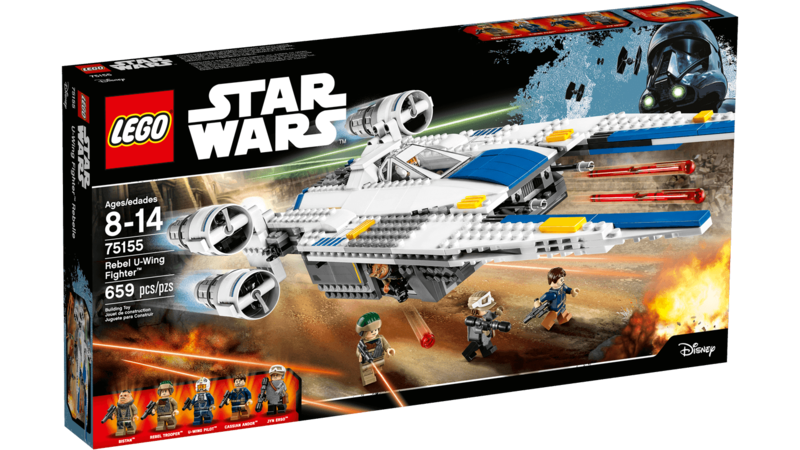 This is Star Wars, this is Lego, its bound to be amazing for any fan. This is part of the films Rogue One collection. This is the ship that the rebels use to try and get the Death Stars plans before Darth Vadar starts to build it. This set set comes with five mini figures so you can really recreate the scenes from the film. This looks awesome and I would definitely buy this. So after the success of the film Thomas & Friends, The Great Race, you can now buy the new track that makes Thomas fly.... 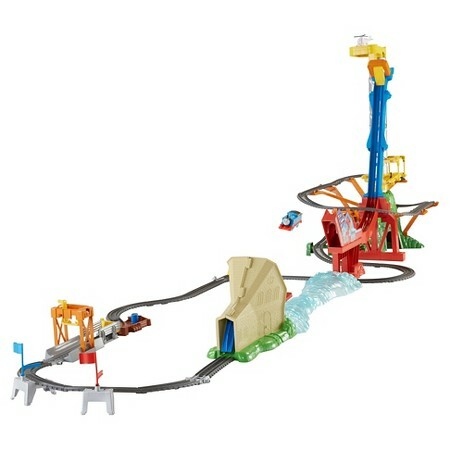 It's £100 worth of plastic track which has to be set up for us to watch Thomas fly over the bridge. Yea....its sounds cool and is probably great, but you know what, I can do this for free by just throwing Thomas across a room.....However, I've not seen the film, so I'm sure any super fan will love this. Just bear in mind that this is huge. This will take over half a room, so unless you have a mansion clear the room before you start to build it. No, I wouldn't buy this, and if anyone bought this for my son, I'd give it back. So there you go, my opinions of the Top 12 Toys of 2016. Which ones are your favourites and what do you think of the list?